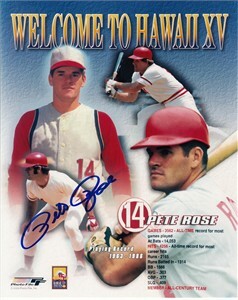 8x10 Cincinnati Reds montage photo autographed in blue marker by legendary Hit King Pete Rose. 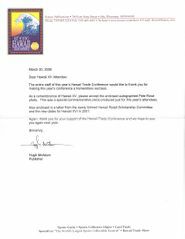 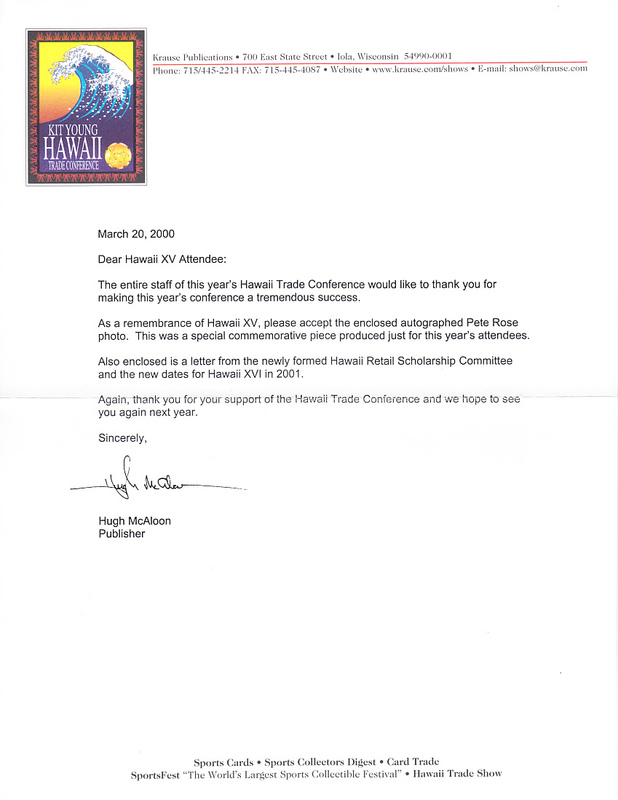 This was a gift given exclusively to attendees of the 2000 Hawaii Trade Conference and comes with their letter of authenticity. ONLY ONE AVAILABLE FOR SALE.